As an eye-catcher for future MakerFaires and other events I tried to create the logo of the Arduino Group Hannover in 3D. I have no 3D printer at home, and the printers I know are much too small. 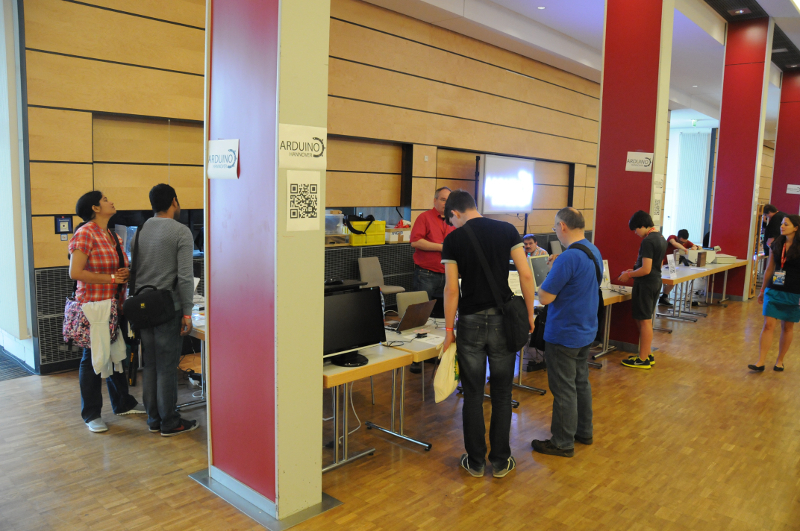 Again this year the MakerFaire Hannover took place, and the Arduino Group Hannover participated. I’ve written a short article (in German) for the blog of the Arduino Group Hannover. 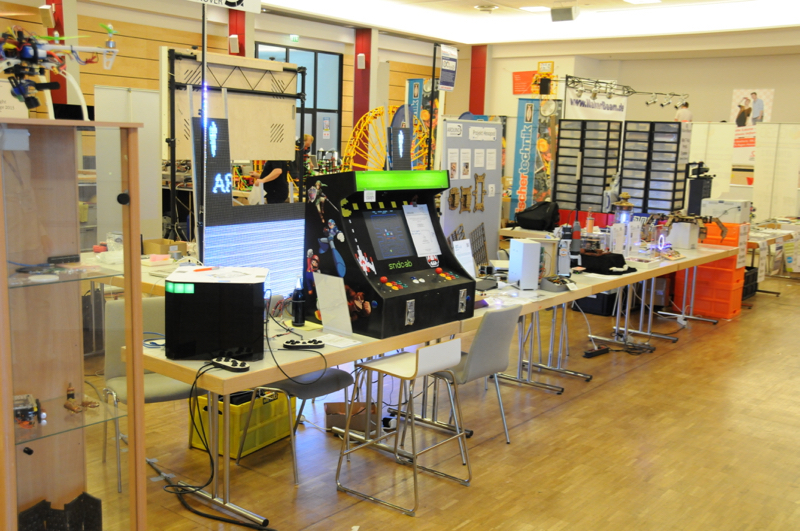 The Arduino Group Hannover is again on the MakerFaire Hannover. This time the faire is two days long (and it is not sooooo hot as last year). I took the photo just after the opening. During the day one couldn’t see the booth, especially the part with the gameduinos.